This has four pairs of legs plus a pair of pedipalps. 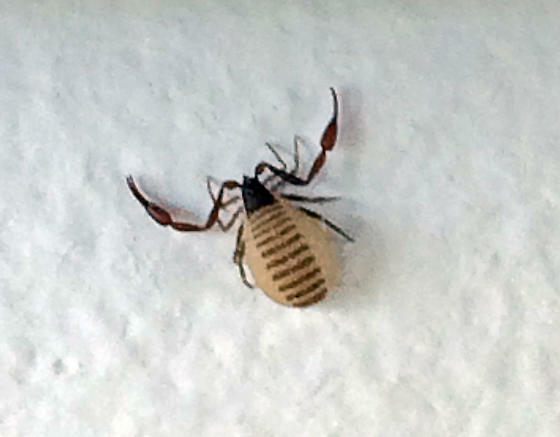 What you found is actually a pseudoscorpion. They are arachnids like scorpions, but they lack the metasoma and telson.